Featuring the instantly recognisable characters from the best-selling children’s book, this delightful bunting is illustrated with classic images from the heart-warming tale of a father hare explaining to his child how much he loves him. The high-quality bunting features 15 circular pendants. 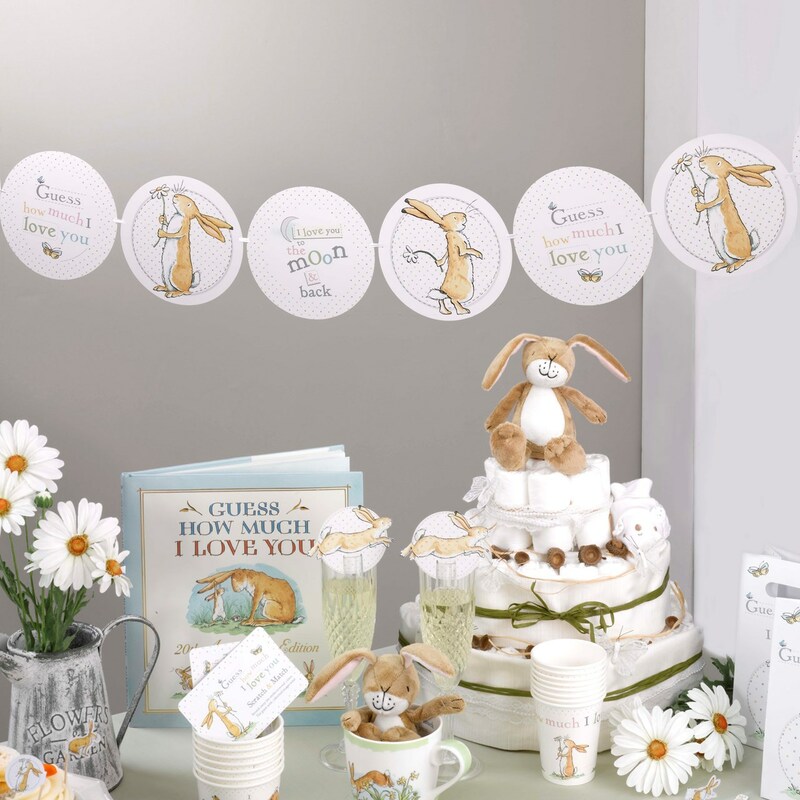 Flags are decorated with lovely pictures of the Little Nut Brown Hare holding a daisy, interspersed with ‘Guess How Much I love You’ and ‘I Love You to the Moon And Back’ text in a pretty pastel colour palette, completed with a polka dot design. Each pack contains 15 pendants, 3.5mtrs.